It is with sadness that Jersey Boys Blog has to share the news to our readers that Judy Parker Gaudio, writer of Billboard chart-topping songs and Broadway hits, and wife of Bob Gaudio, has passed away peacefully from respiratory complications on Thursday, September 14, 2017. Among her most well-known songs are “December, 1963 (Oh, What a Night)” and “Who Loves You,” which were recorded by ?Frankie Valli & The Four Seasons. Ms. Gaudio was 79 years of age. Judy Parker was introduced to ?Bob Gaudio, a founding member of The Four Seasons, in 1973 at the Motown Studios in Los Angeles, while Bob was recording a ?Marvin Gaye/Diana Ross duet. They dated for eight years and were married on April 5, 1981. In their 45 years together, they co-wrote a number of top 5 songs for ?Frankie Valli & The Four Seasons. Some of those were prominently featured in the Tony, Grammy, and Olivier Award-winning musical, Jersey Boys, which became the 12th longest-running musical in Broadway history. For Ms. Parker’s full obituary, click HERE. Our hearts and prayers go out to Bob Gaudio, Ms. Parker’s extended family, friends, and colleagues during this difficult time. My most sincere condolences, Mr. Gaudio and family. Many prayers and condolences for the Gaudio family. I am very sorry to hear about the loss of Mr. Gaudio’s wife and songwriting partner. Mr. Gaudio, their family and friends have my sincere sympathy. You all must have many wonderful memories to share. Thank you to Ms. Parker-Gaudio for the wonderful songs she gave us. Deepest condolences to the family and friends. Without even knowing me, this wonderful lady was a part of my life through her musical compositions. So shocked and so sad to hear of this. Sincerest condolences to Bob and his family.Such a great loss of a talent who has left behind a wonderful legacy of music that will last and be remembered for a long time.Prayers go out for Bob and his family. Our thoughts and prayers to the Gaudio family. The writing team of Gaudio & Parker song writing team I can’t thank you enough for one of my all time favorite albums, Who Loves You. My thoughts and prayers are with the Gaudio family. BOB: so sorry to hear about the passing of your wife. May God bless you and yours during this trying time. 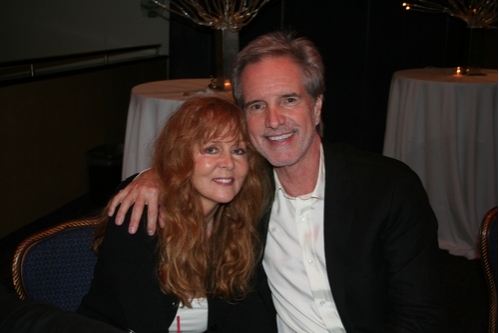 My thoughts and prayers are with Mr. Bob Gaudio and his family. Your Who Loves You album written by you and your wife is one of my all time favorites and is enjoyed by four generations of my family, on LP (several) CD and now Streamed. God Bless You always.